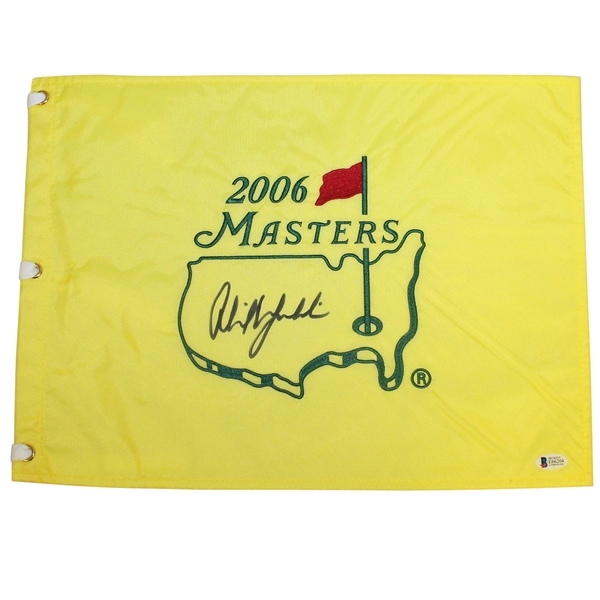 A 2006 Masters Tournament embroidered flag is offered here for bidders, signed by the champion Phil Mickelson. 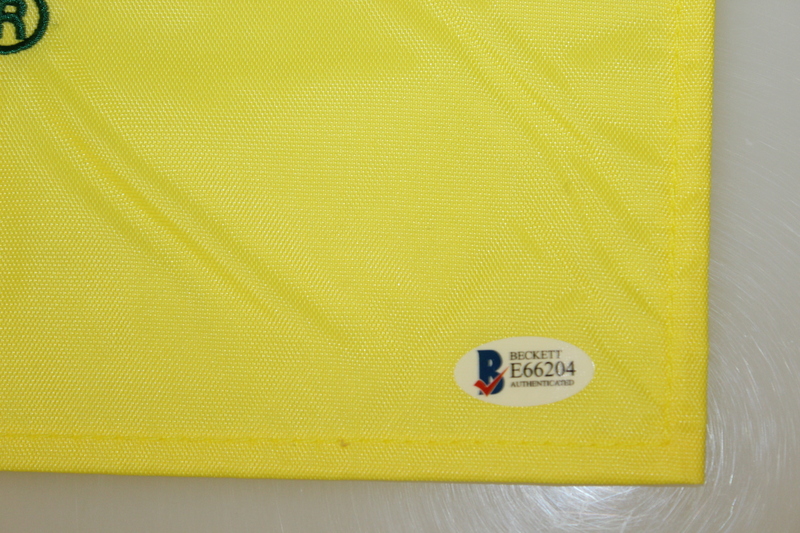 His signature comes with Beckett authenticity #E66204. 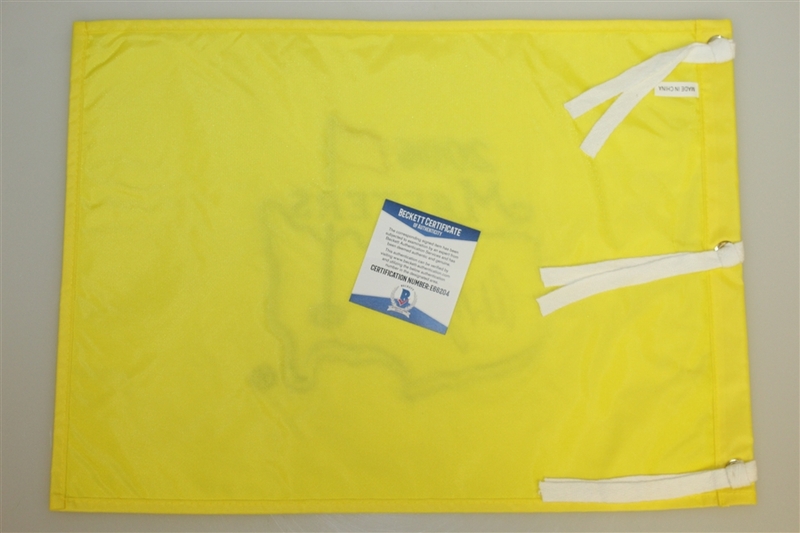 Phil Mickelson has five career Major victories. Three of Mickelson's Major titles came in Augusta at the Masters Tournament in 2004, 2006, and 2010. On September 23, 2018, Tiger reached a new career milestone in winning his 80th PGA Tour event, The Tour Championship. Congrats, Tiger!